Roland HP601 digital piano. Discounted prices, choice of finishes. 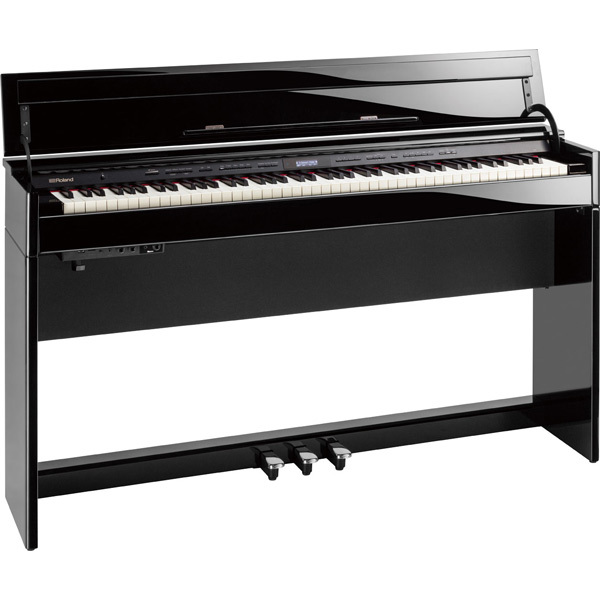 Roland HP601 digital piano Standard Features. As your love for the piano deepens, you need an instrument that offers the tone, touch, and technology to inspire even greater expression and enjoyment. The Roland HP601 digital piano is your ideal next step, providing authentic grand piano sound and true hammer-action touch with Ivory Feel keys to support maturing skills and more nuanced playing expressions. 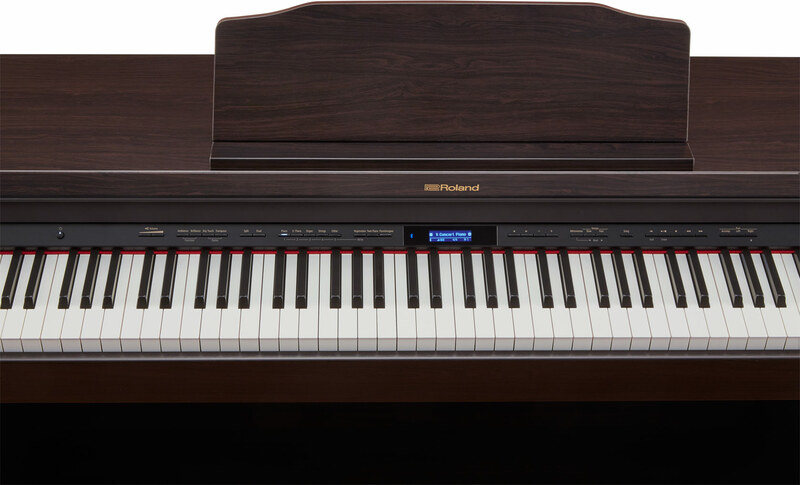 It also includes integrated Bluetooth® for wirelessly connecting with apps like Roland’s Piano Partner 2 and Piano Designer on your favorite mobile device, accelerating learning and enhancing your playing experiences. Offering exceptional piano performance, built-in education features, and modern connectivity, the affordable HP601 digital piano is the perfect instrument to stimulate musical growth and allow budding talents to blossom. Three premium finishes: Contemporary Rosewood, Contemporary Black, or White. Equipped with Roland’s flagship PHA-50 keyboard, the HP601 digital piano further supports the important sound/touch interaction with ultra-responsive sensing that translates every subtle playing nuance. The keyboard combines wood sides with durable molded materials, providing a traditional grand piano look and the feel of ebony and ivory with no worries about costly reliability issues down the road. The HP601 also includes three integrated pedals that support progressive and half-pedal control. This capability is required to play more advanced piano pieces, and is not available on instruments that employ less sophisticated pedal switches. 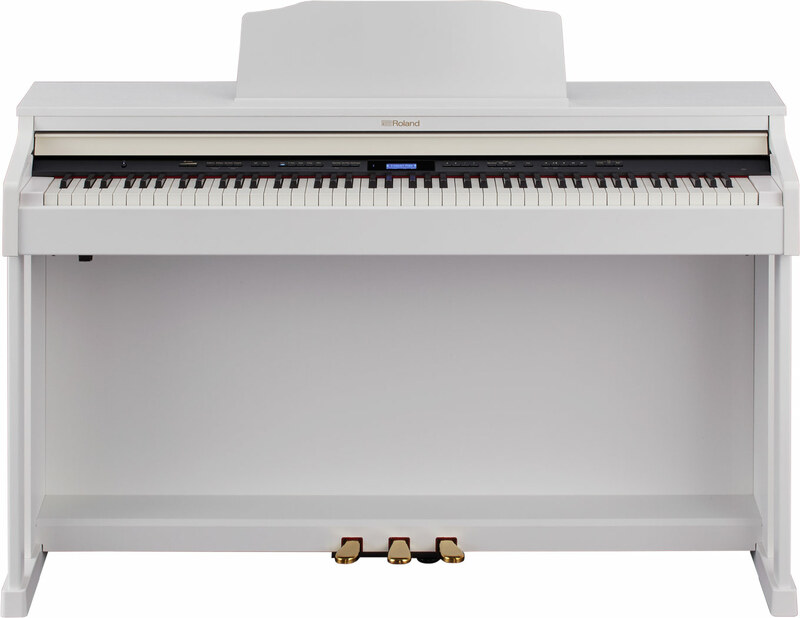 The HP601 digital piano is equipped with variety of onboard features for practice and musical growth. Over 350 ready-to-play songs include traditional music, classical masterpieces by Mozart and Beethoven, and famous piano etudes from Hanon and Czerny. There’s also a convenient onboard metronome with variable time signatures, providing an essential tool to develop your sense of timing. A handy onboard recorder captures your playing to USB flash media, allowing you to check your progress and share music with friends and family. 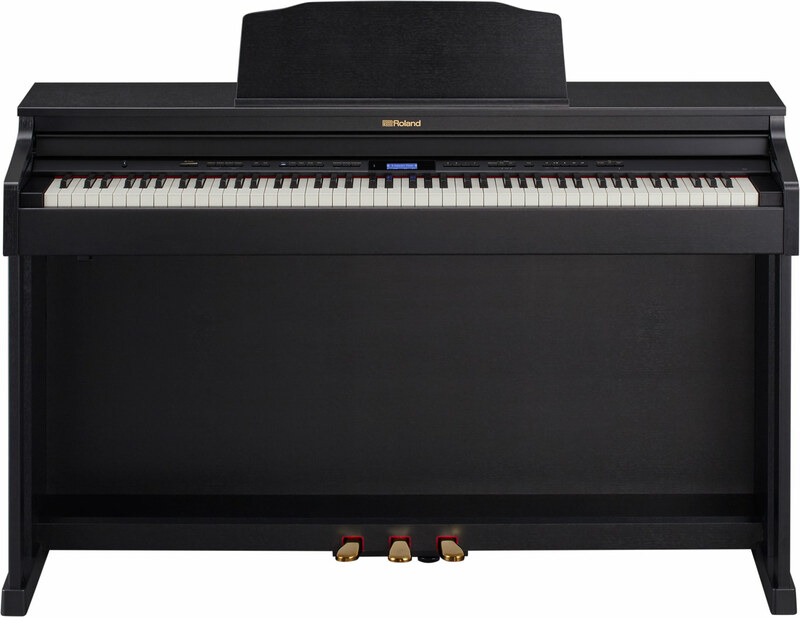 And when you want to play side by side with a teacher or friend, you can activate Twin Piano mode and split the keyboard into two 44-note pianos, each with their own middle C.